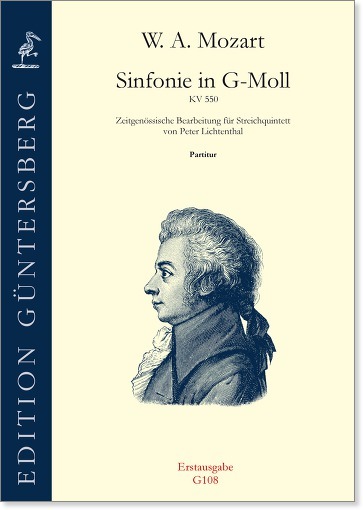 Following our successful edition of the Mozart Requiem in the adaptation of Peter Lichtenthal for string quartet we now offer his version of the Symphony in G minor for string quintet. It can open a doorway to an important musical treasure that can attain a particular intensity through one's own participation - in contrast to passive listening. Preface by Frohmut Dangel-Hofmann.